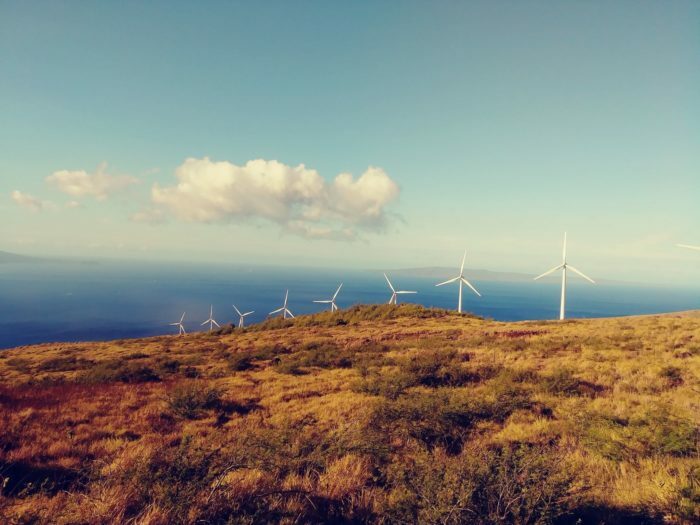 There’s no doubt about it: the Hawaiian Islands are home to some of the world’s best hiking trails. 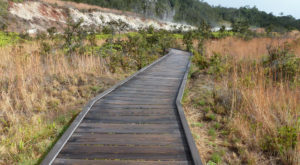 However, not all trails are created equal, and there are some hiking trails that are objectively more stunning than others. 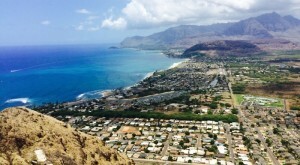 While we love the panoramic views you’ll find from both the intense 22-mile Kalalau Trail and the crowded Diamond Head Summit Trail, there is one lesser-known Hawaii hike that absolutely must be on your Hawaii hiking bucket list. 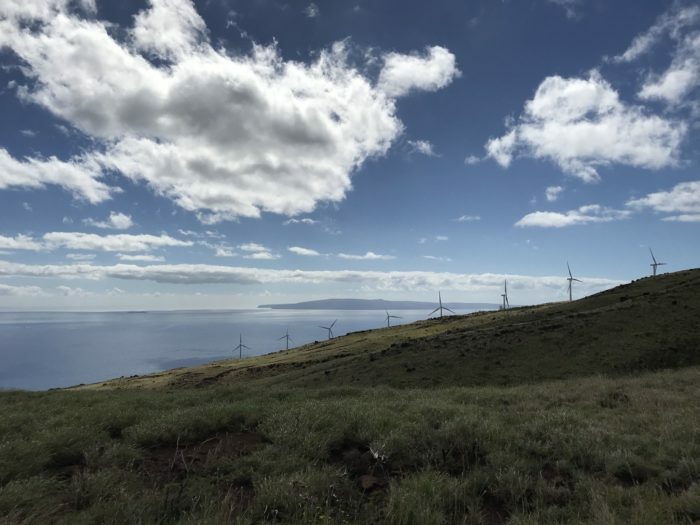 Featuring sweeping panoramic views of the Maui countryside and the vast Pacific Ocean as well as the chance to hang out under gigantic windmills, it doesn’t get much better than the Lahaina Pali Trail. 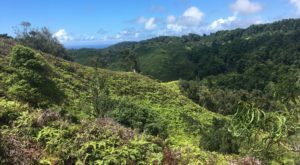 Meandering up the side of a mountain, the trail can be accessed from both the east and the west, culminating on Kealaloloa Ridge, a magical destination where you will find jaw-dropping views of Haleakala, upcountry Maui, La Perouse Bay, and Kihei as well as the neighboring islands of Molokini, Lanai, and Kahoolawe. 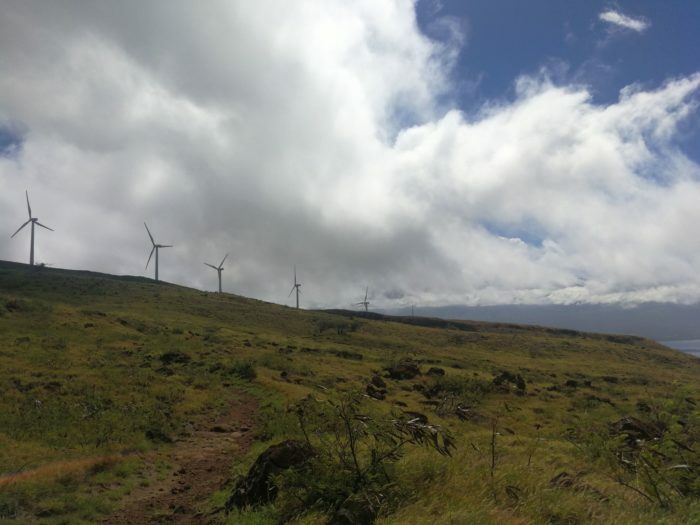 That’s not the best part, though: you won’t find a trail anywhere in the Aloha State where you’ll get closer to the windmills that dot the countryside. 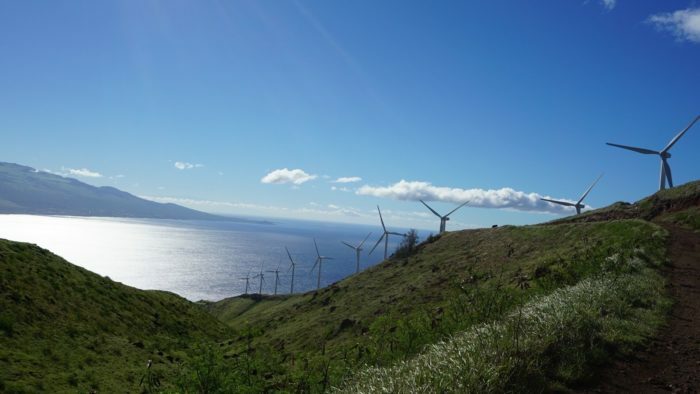 One of the largest wind farms in Hawaii, the Kaweawa Wind Farm is home to 34 turbines, each of which measures in at an impressive 168 feet tall with 115-foot blades. 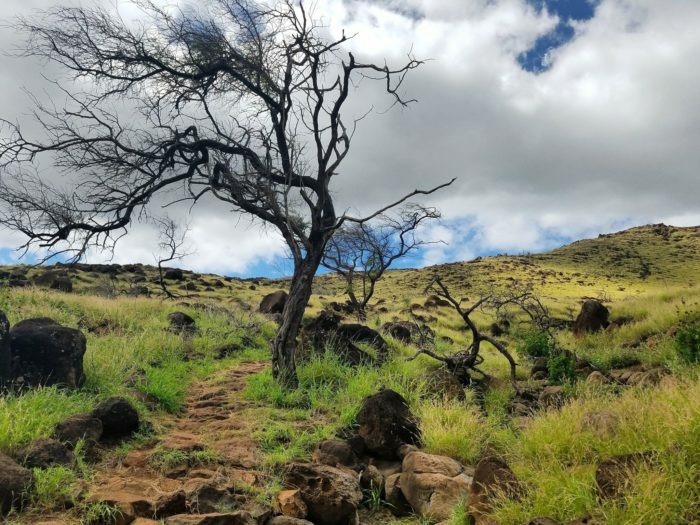 The trail from Ukumehame measures in at approximately 4.3 miles and gains nearly 1,600 feet in elevation whereas the hike from Maalaea measures in at 3.8 miles and gains approximately 1,400 feet. 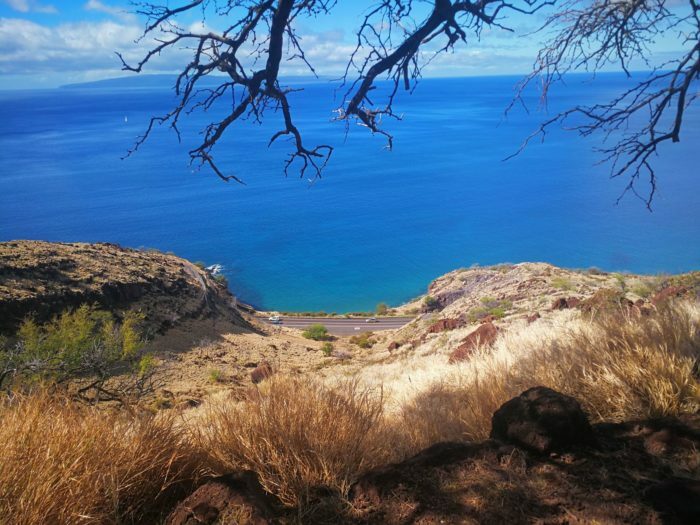 No matter which side you visit from, you’ll love every difficult step you take along the Lahaina Pali Trail. Don’t forget your camera! 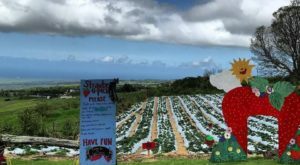 Amateur and professional photographers alike are mesmerized by the views you’ll find along the Lahaina Pali Trail, and if you visit at the right time of year (December through April), you might even spot whales frolicking off the coast. Though beautiful beyond words, this trail is not recommended for beginners. The trail is not only quite rugged and rocky but features several steep switchbacks along the ridgeline. 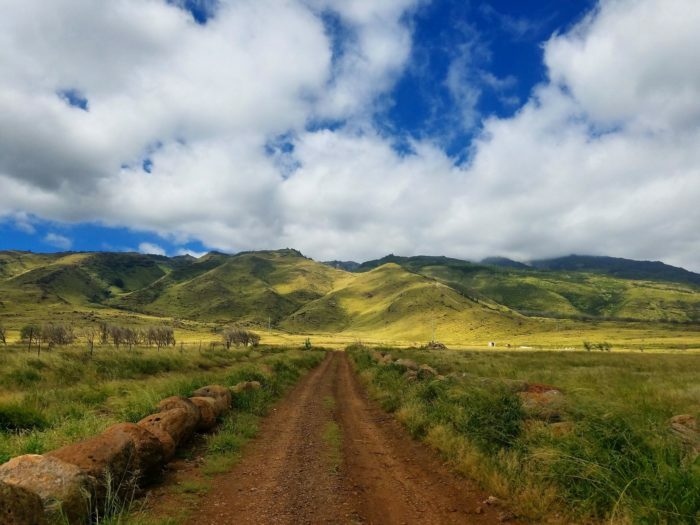 Until Honoapiilani Highway opened in 1951, the Lahaina Pali Trail was the only way to travel from Wailuku to Lahaina. 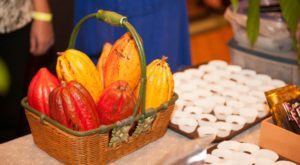 If travelers could trek (sometimes barefoot) through the rocky, steep terrain, so can you. You won’t find much shade on the trail, so we suggest you slather on the sunscreen, grab a hat, bring plenty of water, and start your hike early in the morning. You should also be aware that, obviously, it gets quite windy at the summit. Of course, that just adds to the ethereal beauty you'll find here. 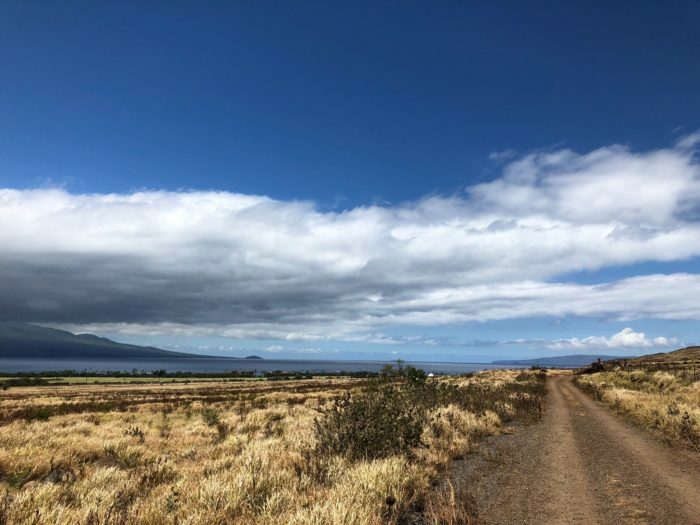 Whether you embark on the Lahaina Pali Trail from the east or the west, you're sure to enjoy a magical journey you'll never forget. Adventure awaits. 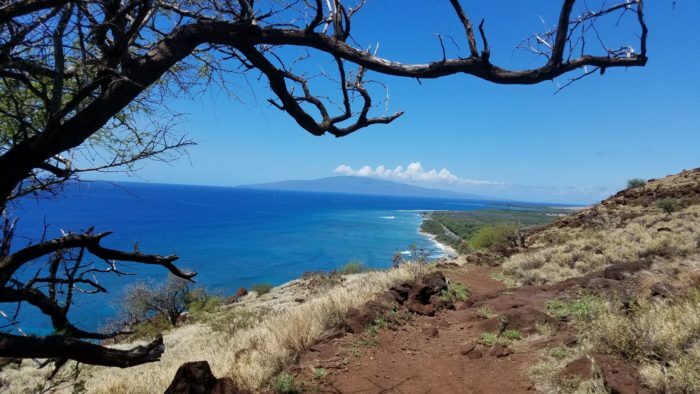 Though the Lahaina Pali Trail is classified as difficult, it’s hard to deny that the views you’ll find along the way are some of Hawaii’s best. 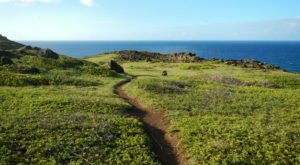 You can check out photos and reviews of the Lahaina Pali Trail on AllTrails. Click here for the trail from the west, and here for the trail from the east. 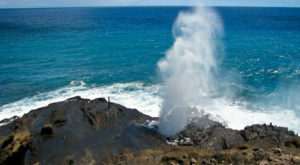 To discover more incredible Hawaii hiking trails, click here.